I love the sound of instructors planning out their lessons, giving direction to the riders, and then praising the students as they work to accomplish their goals. I equally enjoy watching the volunteers connect with the children and families in the observation room. 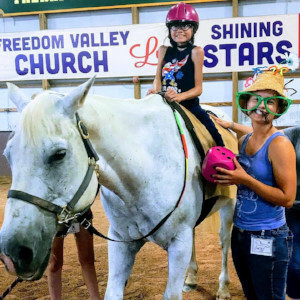 All these things add up to children and adults getting the therapy they need on the horses they love. But the one thing I cherish is the sound of laughter that is often heard throughout the arena. Nothing is too silly or embarrassing if it gives our kids an opportunity to laugh. The chicken dance, hot potato games, singing, or juggling demonstrations, nothing is off limits. Laughter is good medicine! 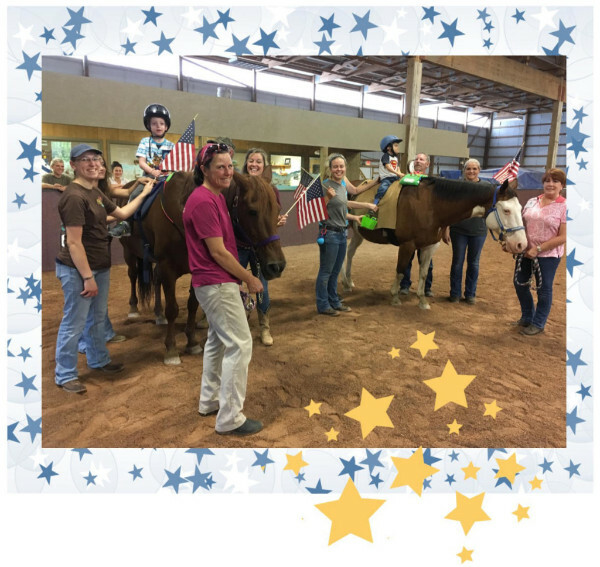 Shining Stars is preparing for the Fall session of therapeutic riding. If you or someone you know wants to add an hour of joy in their week, come to one of our trainings and see what volunteering is all about. 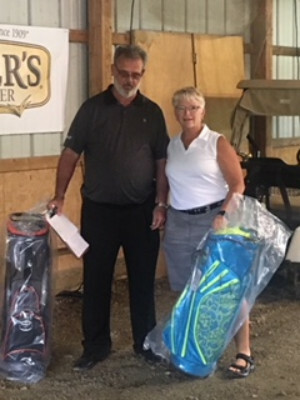 Big THANKS to golfers and sponsors who supported our 2018 golf outing at Mountain View Golf Club! 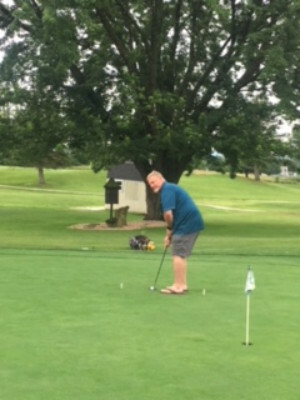 It really turned out to be a wonderful day of golf for all in spite of rain for the first 20 mins. After that the skies cleared and the outing went off without any more rain. It was a great day! A great big thank you goes out to these amazing volunteers from Cargill Feed & Nutrition. 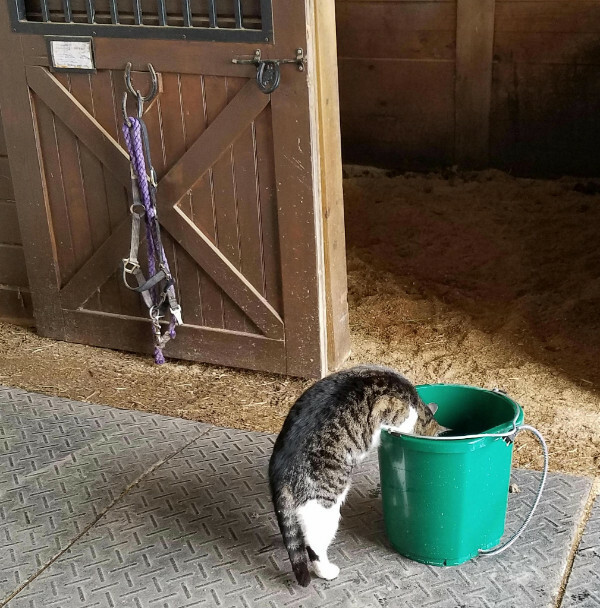 They gave the farm a fresh coat of paint, cleaned the barn stall fronts, mulched, and did much more. Thank you for helping us get ready for our summer programs at the Shining Stars farm! 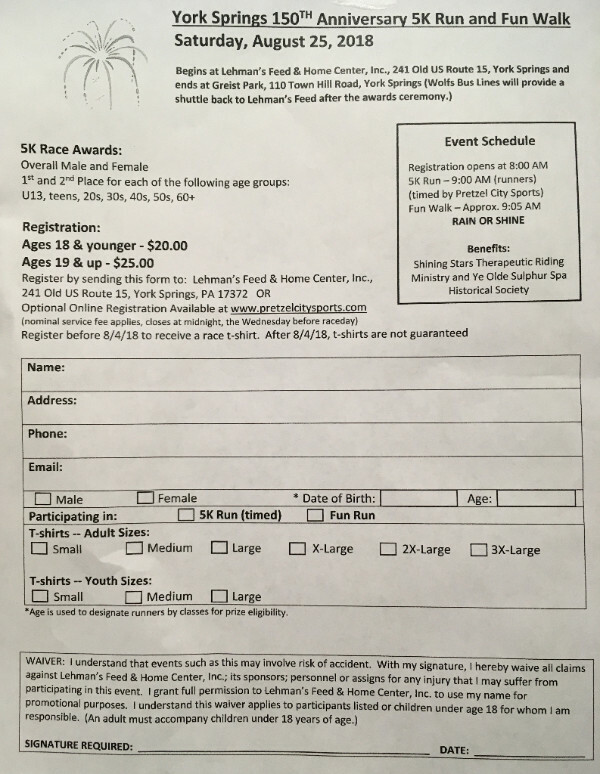 Cargill's business is located at 1892 York Road, Gettysburg, PA.
Plans are underway for the Annual Gettysburg Riding Club's Benefit Horse Show on Saturday August 4, 2018. 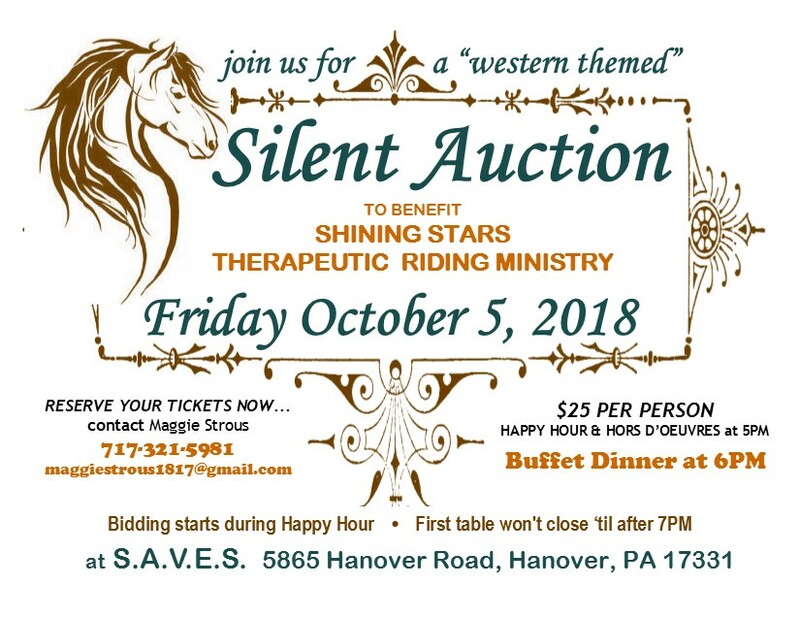 This is a great local show which gives some of our Shining Stars students the opportunity to ride in several events in public. 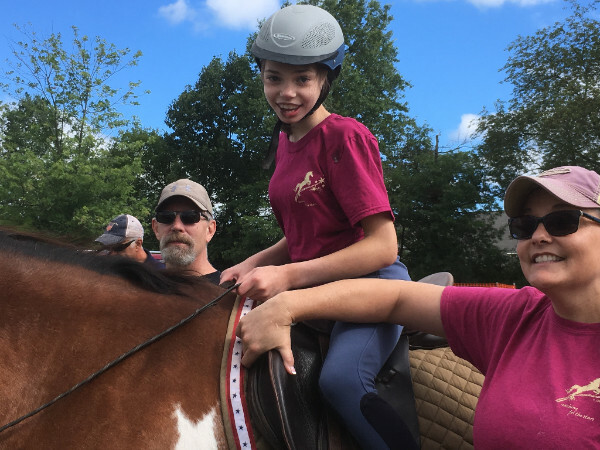 As before, there are two "regular" classes and two Therapeutic Riding events for our students. 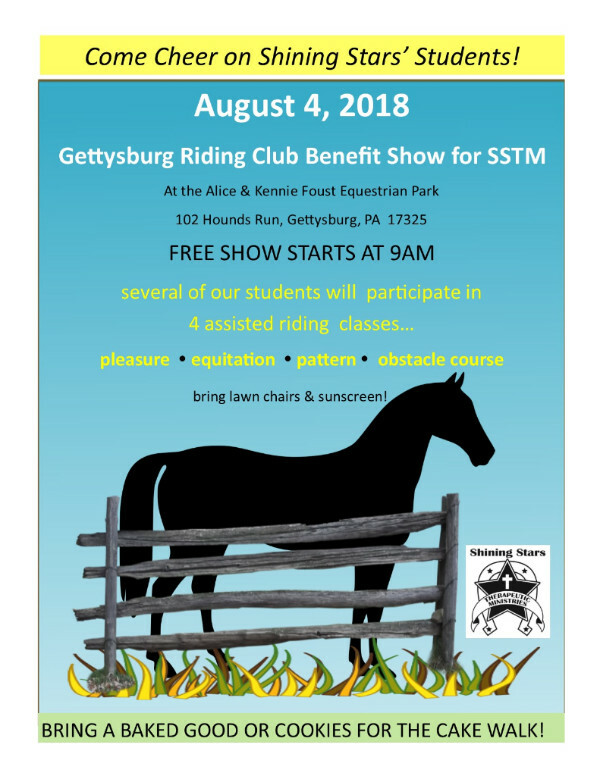 There are a limited number of spaces for our kids to participate in the Gettysburg Riding Club's Show on Aug. 4...but we try our best, and hope no one feels left out. Your showtime may come next year! 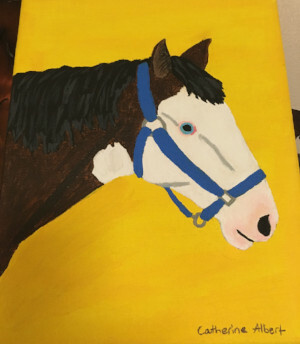 All are welcome to come on over to the Alice & Kennie Foust Equestrian Park, 102 Hounds Run, Gettysburg, PA to enjoy the horse activities & watch our students (and many other riders!) perform. Bring a chair and sunscreen!! 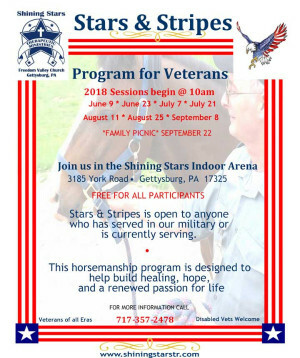 The show begins at 9am and can run until 3 or 4pm if there are alot of riders. 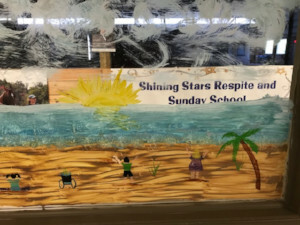 The Shining Stars students' events are usually completed by noontime. 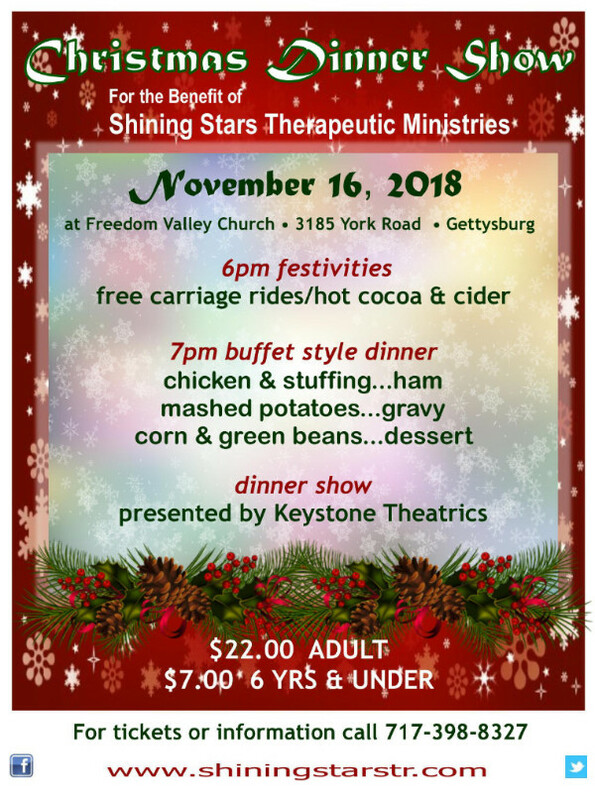 Our faithful friend, the Gettysburg Riding Club, donates proceeds to Shining Stars. 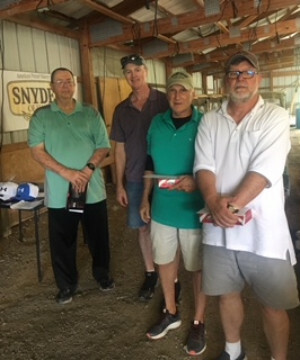 The spirit of volunteer generosity and sharing of talents is very apparent in the SSTM arena this summer. 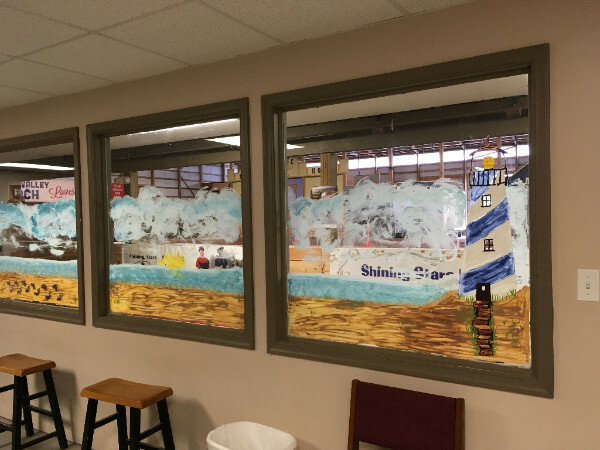 Take a look at these colorful works of art which are brightening up our Observation Room!! The window mural was done by Carol Dull, and the painting of Drummer is by Catherine Albert.